Unless there’s an obvious gaping hole, most homeowners don’t make it a priority to replace their siding. Unfortunately, that might be a mistake. Siding doesn’t last forever, and when it starts to get old and crack, it can lead to costly repairs. 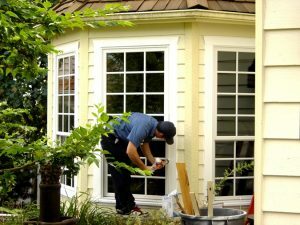 Though you probably don’t want to tackle this time consuming and costly renovation, the safety, energy efficiency, and value of your home depends on it. Here are some of the most common signs that your house needs new siding. How long has it been since you last painted your home? If it’s been less than five years, and you are seeing damage, there’s a good chance your siding needs to be replaced. A home with good siding can keep its paint for ten years or more, but damaged siding can cause the paint to chip, peel, and crack prematurely. If you walk around your house and notice that your siding is warped in certain places, your siding isn’t doing its job properly. Warped siding can indicate a small problem on the surface of your siding, or a widespread problem affecting the structure of your home. Inspecting your siding for damage is a fairly simple task. For wood siding, bring along a sharp object such as a screwdriver. In areas where the warping is most prominent, poke your screwdriver under the siding cover and prod the boards to see how solid they are. If the siding is soft, it’s most likely a sign of decay. Even if you have made energy efficient improvements and feel comfortable in your home, it’s best to look at your utility bills from the last few years. If there is a significant or unexplainable increase in your heating and cooling costs over that time period, one factor could be the siding. Damaged siding and poor quality insulation can allow air to leak in from the outside, causing your heat or air conditioning to run more than usual. Replacing your siding can not only improve the structure of your home, but also get your utility bills back to a more reasonable rate. Any signs of mold, fungus, or mildew on your home’s exterior are sure signs of damaged siding. Mold indicates water infiltration, which will cause problems for both the exterior and interior of your home, including illness and structural damage. Dry rot is a very serious problem that isn’t always easy to detect. 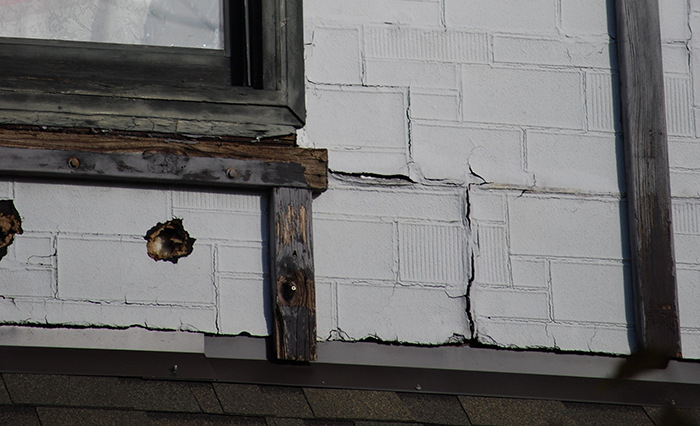 Dry rot is a slow process that eats your siding’s body while leaving the top layer intact. The boards and structure of your siding may be crumbling away without you knowing it. It’s always a good idea to check your siding for dry rot at least once a year by performing a simple test. Using the handle of a screwdriver or hammer, tap the siding’s surface to test for weakness and damage. Any part of your siding suffering from dry rot will need to be replaced immediately before it spreads. Today’s high performance siding holds color better than ever. 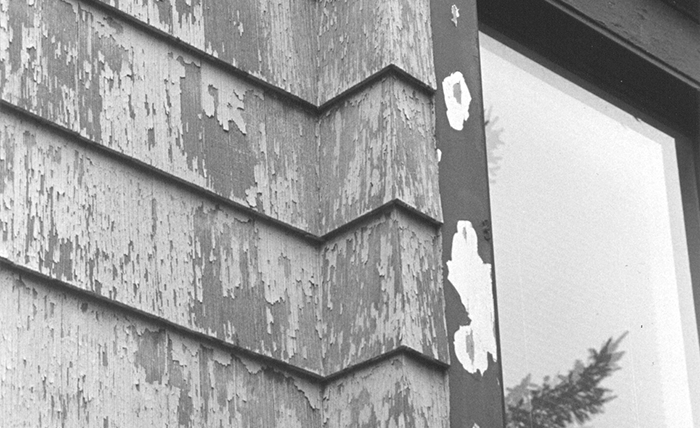 On older vinyl siding, faded color is generally a sign of old age. If you notice fading color on your home’s siding, it’s a good indicator that it’s time to take a closer look for any siding damage that could lead to more serious problems. If you have a type of siding called LP Inner Seal (by Louisiana Pacific), you may already be aware that this particular wood siding product is known to discolor and disintegrate prematurely. Bubbles just under the surface of your siding are almost always an indication that water is or was trapped underneath. 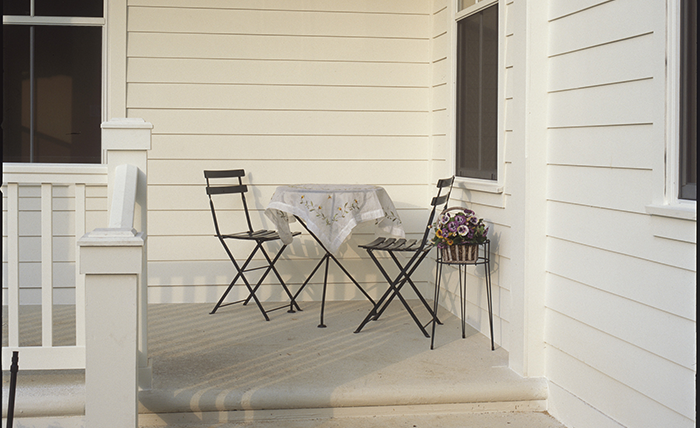 Siding’s main purpose is to keep water away from the walls to prevent internal rotting and mold problems. If there’s bubbling, this may also be evidence of mold or rotting, both of which should be addressed immediately. Another good indicator that your siding isn’t doing its job properly is the state of your interior walls. If there is a place on your walls where wallpaper or paint is constantly peeling off, there’s a good chance it’s due to water infiltration through damaged siding. This can be common around windows if the siding-window barrier isn’t caulked properly and often. If not addressed, this can start the wood to rot under your siding. Nature can do quite a number on your home’s siding, and if you live in an area prone to frequent rain, high winds, hail, snow, or other storms, the chance of your siding wearing out quickly increases. Anytime your area experiences harsh weather conditions, inspect your siding for damage. The same goes for areas full of wildlife. Woodpeckers, squirrels, rodents, and insects can all cause serious damage to your home’s siding. Frequent inspections will help you find any problem before it spreads, which will save you big on costly repairs. Poor installation, high winds, and other natural elements can cause your siding to crack or loosen over time. 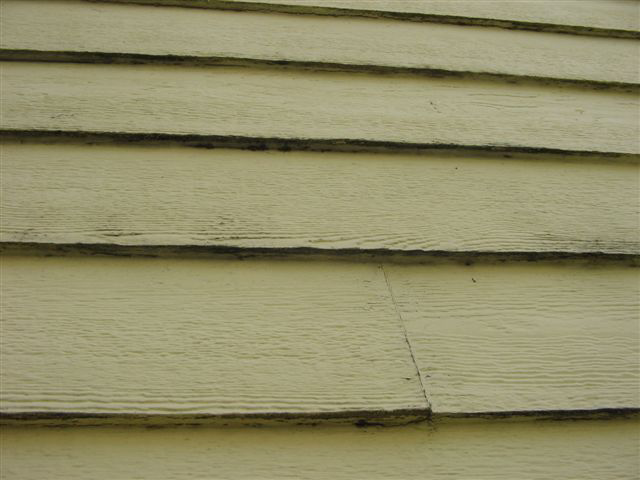 Loose and cracked siding cannot properly protect a home’s structure from damage, and should be addressed promptly. Insulated composite siding: Composite or vinyl siding is very durable and comes in attractive styles that give your home the look of cedar without the maintenance. The best of these are insulated to provide additional energy savings and efficiency for the entire home. It reduces noise and saves you energy because of its insulated high R-value of 4.0, which is four times as efficient as traditional wood siding that has an R-value of 1.0. 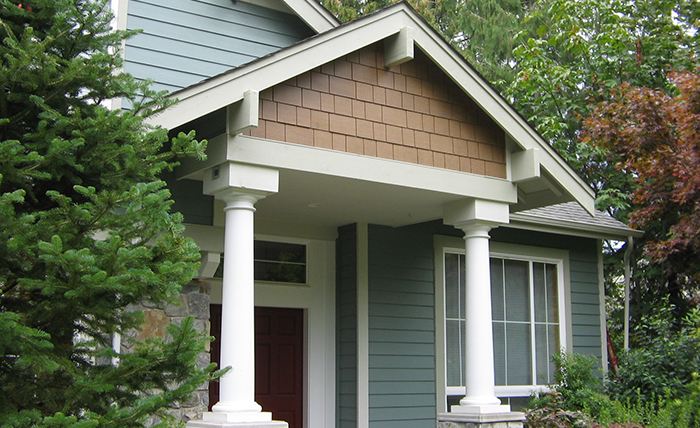 Today’s composite siding resists fading and has extensive warranties. Fiber cement siding: This siding is one of the most popular types of siding to date, and James Hardie is the leader in fiber cement with over 5 million homes under its protective wing. It comes in any color you like and a variety of styles to meet any taste. Fiber cement siding is an excellent option simply because it won’t rot, crack, or warp, plus it is fire resistant. If you’re in need of new siding, look no further than Washington Energy Services. We pride ourselves in delivering the best possible composite and fiber cement siding products to improve your home’s value and energy efficiency. For more information about the siding options we offer, contact us. My James Hardy siding is 2 years old. Almost immediately you could see long gaps when you look up the face of the house where the planks do not lay flat. Is this ok? Hi Linda. Thank you for reading the blog. You should contact your installer and ask them to take a look. It is not normal that your siding is coming up. If your installer is not any help, contact James Hardie. If something needs to be fixed, those are the two avenues to get it fixed.